According to recent reports it looks like this year’s run of big snapper is going to start early on the west coast. 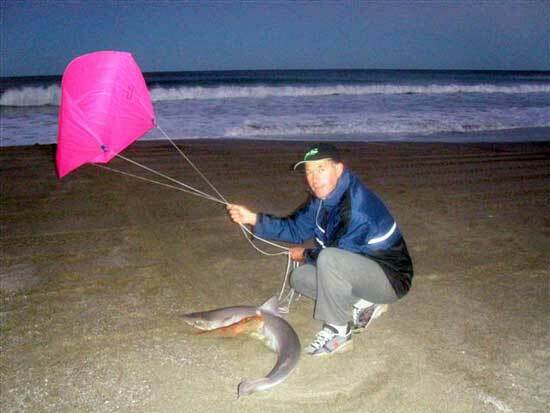 Geoff Preston, local Mokau kite fishing expert reckons the big fish normally arrive inshore off his coast around mid September. However, during a 10 day spell of easterly winds in early July, Geoff went down to the beach and witnessed fabulous catches of huge snapper. The huge snapper ranged from 7kg to 12kg and were being caught from either side of the river mouth. Photo Above: Geoff went across the river at Awakino to the northern beach on Sunday 15th of July and met Steve Gerrand and Anne-Marie Pollard. They have kite fished Mokau occasionally and have had great snapper catches but had never landed anything bigger than 8kg. 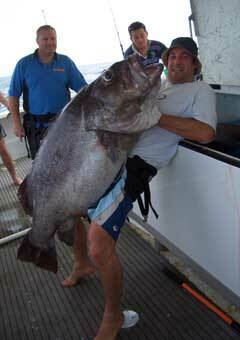 To their immense surprise they hauled in three good size snapper, two of which were over 10kg. 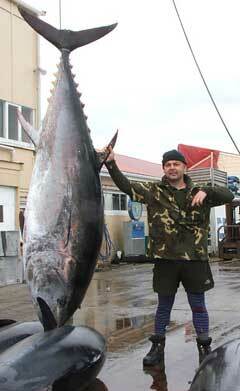 The biggest - a real whopper - weighed in at 12.32kg. Geoff said that the snapper being caught throughout the 10-day easterly blow had been amazing, many fish over 10kg were landed on kites and kontikis. 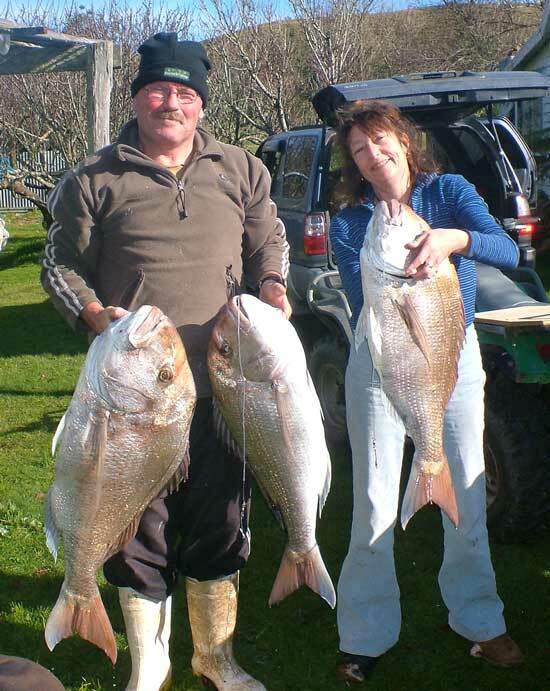 Mokau, situated just north of New Plymouth, is a good indicator as to when the snapper season will start further up the west coast of the North Island. 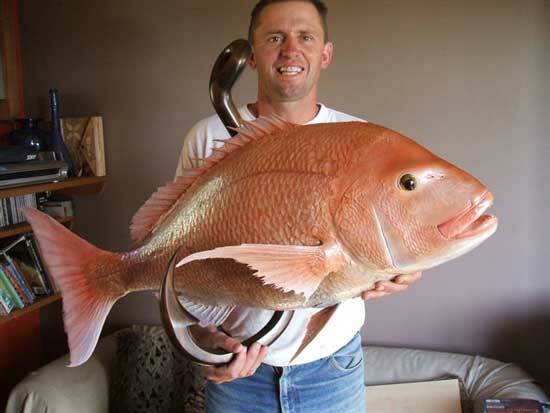 Their arrival in July means the big snapper are more than 6 weeks early, this bodes well for kite fishers further north as these big fish move up the coast. See the Mokau Fishing Map for more information on this fishing spot. If the fish migrate north at their usual rate, the run of big snapper should arrive at Kariotahi and Port Waikato by early August, reaching Muriwai by mid to late August, instead of September and October respectively. However, if you just can’t wait to get into some big snapper, head to the Mokau area and take advantage of the fantastic fishing in the region, but be aware of the local conditions before you make the trip. The Taranaki area enjoys a local katabatic wind phenomenon that delivers an offshore breeze of 3 to 10 knots on most mornings. This breeze has a ceiling of just 30 to 45 metres with the wind above it sometimes blowing onshore. The wind is created by cool air flowing down from the central plateau and usually arrives just before dawn and continues to blow offshore until 9.30 to 10.30am on most days. As these winds are notoriously light and do not extend far above ground level, a light wind kite on a shorter than normal kite line is essential. This is why most of the locals use one of the PFK three keeled power sleds with the Mega Mouth being slightly more popular than the Power Chute kite on 100kg kite longline rigs. Those using the safer option of dropper rigs are best to reduce the length of the dropline to 30 metres and connect the kite directly to the three-way join at the end of their mainline. Those using kite-powered longlines should fly the kite on a 30-metre kiteline. 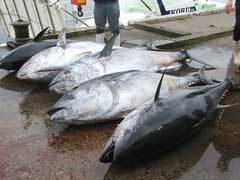 There are also other considerations when fishing at Mokau. Sharks, strong rips, debris and logs floating out from the rivers and a recently washed out seawall can make Mokau quite a challenge to fish productively and most importantly, safely. Many electric kontikis have come to grief in the area. Paul’s Fishing Kites have recently developed a very well balanced 50kg dropper rig, which is perfect for fishing in marginal light areas such as Mokau. This new dropper rig is strong enough to safely set up to 20 hooks up to 1000 metres offshore, yet light enough to be easily operated by one person. This rig has ample light wind towing power provided by a Power Chute kite and the lighter than normal 50kg mainline further enhances the light wind performance of this versatile rig. This rig can easily handle the strong rips and high surf commonly encountered off west coast beaches and when used correctly the kite and mainline are able to be recovered even if the hooks snag or a shark bites through the hook section. Ring the PFK shop on AK(09) 634-5005 to find out more about the new dropper rig and take advantage of our introductory offer. 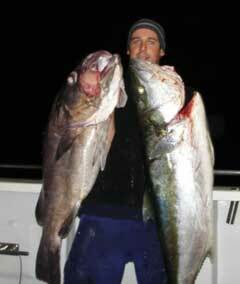 Ideal for deepwater snapper, gurnard, trevally, kingfish, blue cod and tarakihi fishing. Spectra fishing line is unbeatable in strong rip conditions and needs only a third of the weight nylon needs to hold the bottom. This is because spectra line is only one third as thick as nylon lines of the same breaking strain. Another benefit is that Spectra lines have almost no stretch and this takes all the hard work out of fishing. No need to flay the fishing rod tip over great distances to make the jig or bait work properly, just a twitch of the rod tip will give fantastic action to jigs and baits even at great depths. PFK's 15kg spectra fishing line is a superior line for deepwater jigging and conventional baitfishing for medium to big inshore species. Try it and you will never willingly go back to nylon fishing lines. 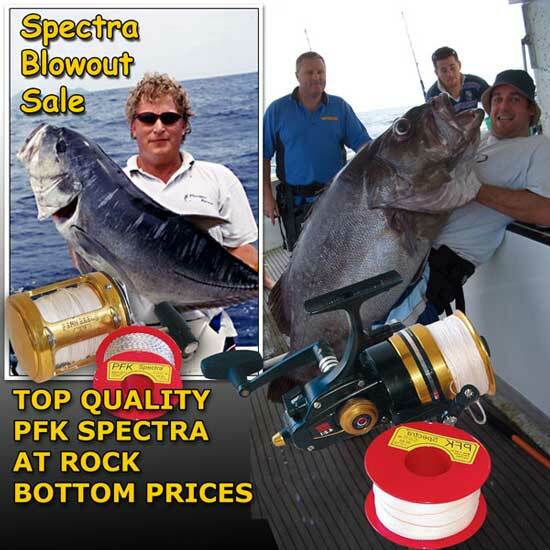 24kg Spectra is great for deepwater jigging for kingfish, hapuku and bass yet thin enough for snapper and tarakihi. 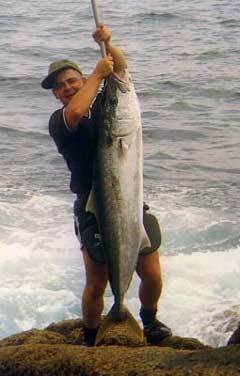 Hold the bottom and stay on the fish in strong currents without needing huge weights. Also great for flying in light winds with maximum performance on Flexiwing Kite Dropper Rigs. Our 24kg line is also a fantastic kiteline for medium sized stunt kites. This is our most popular size in our range of spectra fishing lines for general rod and reel fishing from boats with conventional baits in northern waters. This line is ideal for deep water fishing for huge fish. Great line for fishing for giant bluefin, broadbill swordfish, big kingfish, hapuku, bluenose and bass or other gamefish. This line is very popular on charter trips to those legendary fishing spots like the Wanganella Banks, Ranfurly Banks and Three Kings Islands. It is incredible for improving light wind performance on the bigger kite dropper rigs and as a kiteline for powerful stunt kites. Great for a kiteline on 100kg longline rigs as the line is only one third the weight of the conventional 65kg nylon kiteline. A brutally strong fishing line which is ideal for deep water fishing for huge fish. Great line for catching the biggest giant bluefin and broadbill swordfish, land any big kingfish, hapuku and bass or other gamefish. You will break well before this line does. Also great for light wind high performance on bigger kite dropper rigs and stunt kites. If you want your big rig fishing kite to fly in lighter winds, try flying it on a kiteline made up from this 70kg line, it only weighs on third as much as a conventional 65kg monofilament nylon kiteline. An incredibly strong line suitable for large kite and kontiki fishing rigs. Fantastic for making up hapuku dropper rigs for bluenose, puka and giant sea bass. A durable and reliable Spectra line for bigger commercial jigging machines, commercial fishing for giant bluefin tuna, big-eye tuna and broadbill swordfish. Perfect for larger helium balloon or kite aerial photography (KAP) rigs. Ultra strong for added security for those using electric kontikis and big kite fishing rigs that are hauled by electric winches. If you can't land something you hook up on this line, you probably never wanted to catch it in the first place! There are many commercial applications for this Spectra line including multi hook fishing with jigging machines for patagonian tooth fish, giant sea bass, bluenose, hapuku etc. 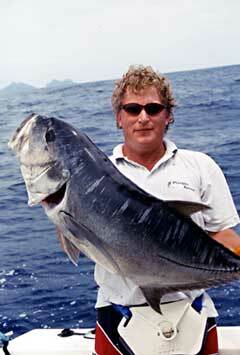 Ideal for trolling or setlining for bluefin, yellowfin and big eye tunas and broadbill swordfish. Huge kites and helium balloons can be safely flown on this line but make sure you have a power winch to pull it back down. Spectra fishing and kitelines can be unforgiving when under extreme loads. Always use gloves and/or a power hauler if the line is not on a fishing reel or hand winch to avoid cutting your hands. 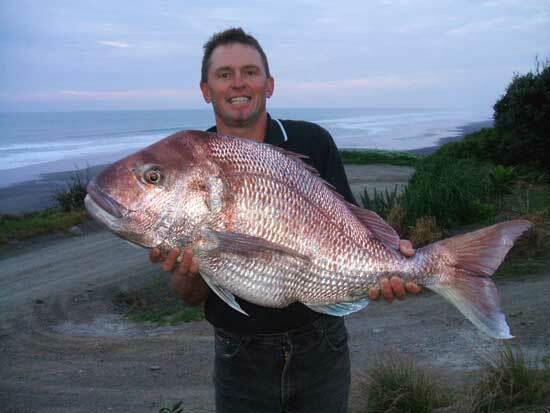 In September last year Geoff Preston landed this monster 13.5 kg snapper off his local beach. Because it was over 30 pounds he decided to get it mounted. It took a while to finish the job but Geoff is really happy with the results. The fish being mounted on a huge wooden fish hook really adds a unique touch. Everyone would have heard about Crocodile Hunter Steve Irwin being attacked and killed by a large stingray in a diving accident. However, even smaller rays can be dangerous. The wound in the pic below was caused by a stingray while it was being removed from a longline trace. Stingray attacks are very rare but when hooked they will sometimes use their barbed tails in defence. 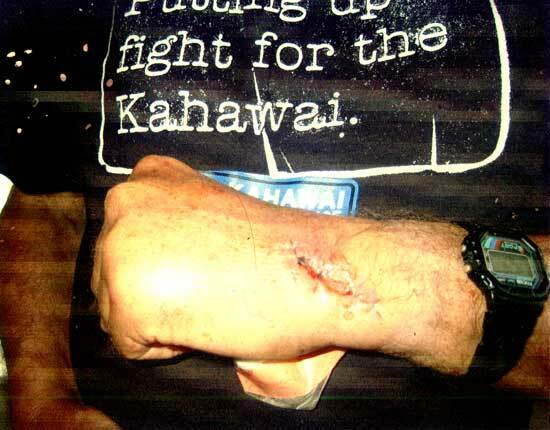 This deep gash was very slow to heal and the photo was taken 6 weeks after the injury occurred. If you catch a stingray don't underestimate how fast they can whip their barb or how much strike range they have. Cutting off the hook is much safer than trying to recover it! Hi Guys, I just thought I would file a report to update the snags on Orewa beach. The snags on the north end of the beach as reported on the map on your web site have been removed by myself. Someone had left an old mooring there with a 20 metre length of rope attached which would sway back and forth with the tide , I got snagged on it several times over the years and decided to do something about it so the north end of the beach is snag free now. The second snag : As you might be aware we are having a great deal of difficulty on the Hibiscus Coast with some of our pacific cousins laying set nets - up to 7 at a time - and leaving them overnight or longer. One guy got his prop caught on one of them last week and decided to chop the rest up, this in turn has left several nets lying at the bottom of the seabed about 100 metres either side of the Orewa beach Surf Club . Jock. President: Orewa K.F.C (Kite Fishing Club). Not very good pictures sorry, but at least we got out for a winter fish at Otahome on the Wairarapa East Coast. After the usual variable wind problems, we finally got a good set and got one nice gunard and a shark on the last hook. 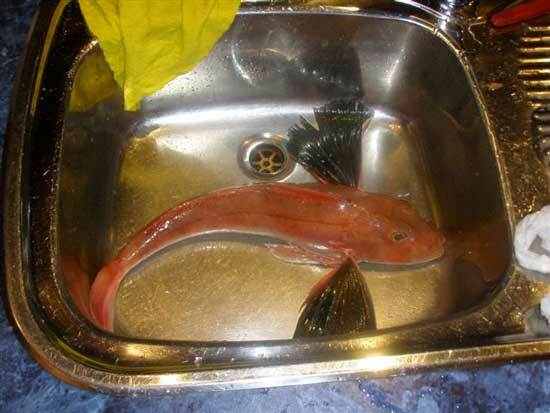 Eventually, we were overtaken by darkness, so headed home for tea of fresh gurnard - the shark was released. The rig was super kite with sky hook, and ex inflatable kite (fitted with spars now) on a roller to keep the mainline clear of the surf. I wasn't game to try the bottom roller at this beach yet, especially as some hooks were catching seaweed.